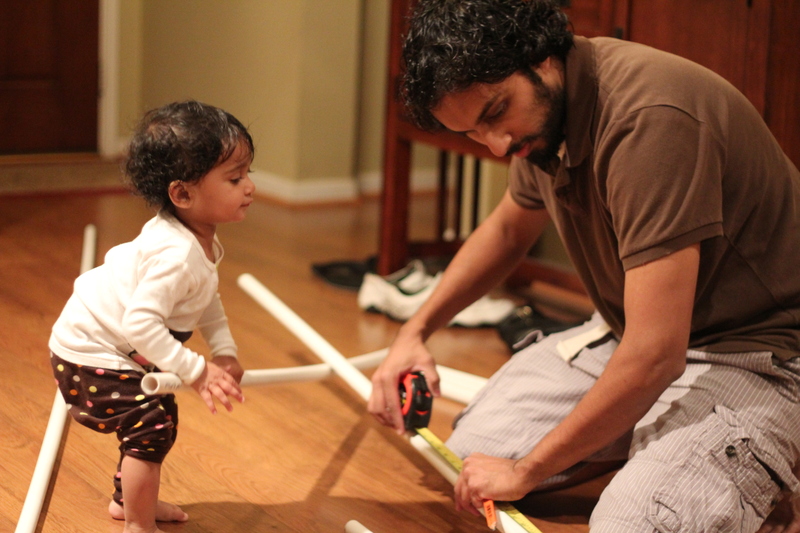 A pile of PVC pipes plopped on the ground when Sajan got home from Home Depot. 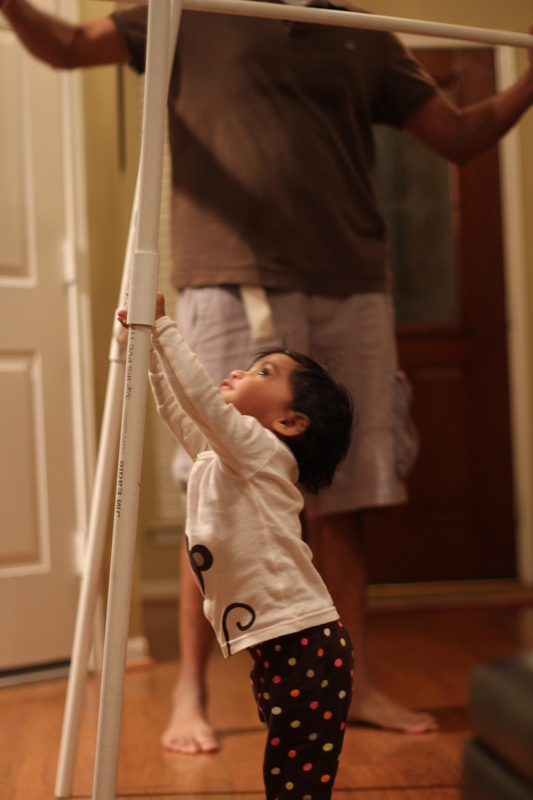 Layla made a beeline for the 10-foot poles. 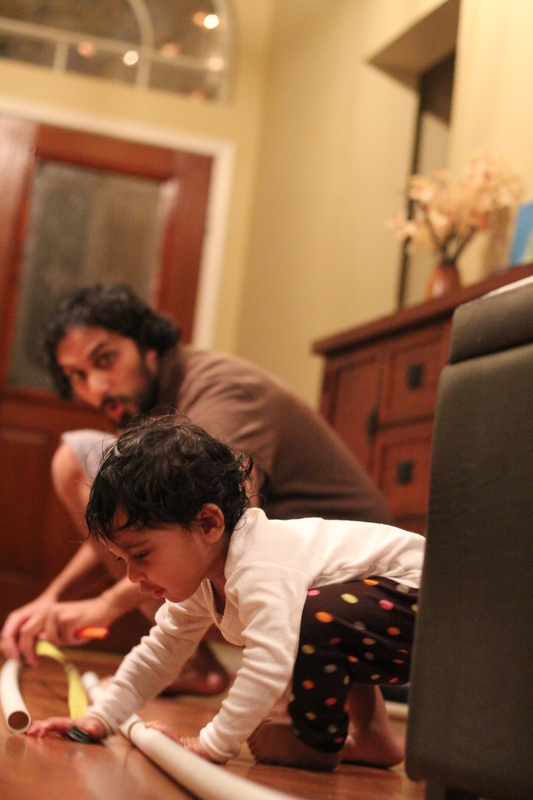 Suddenly this turned into a daddy-daughter project. 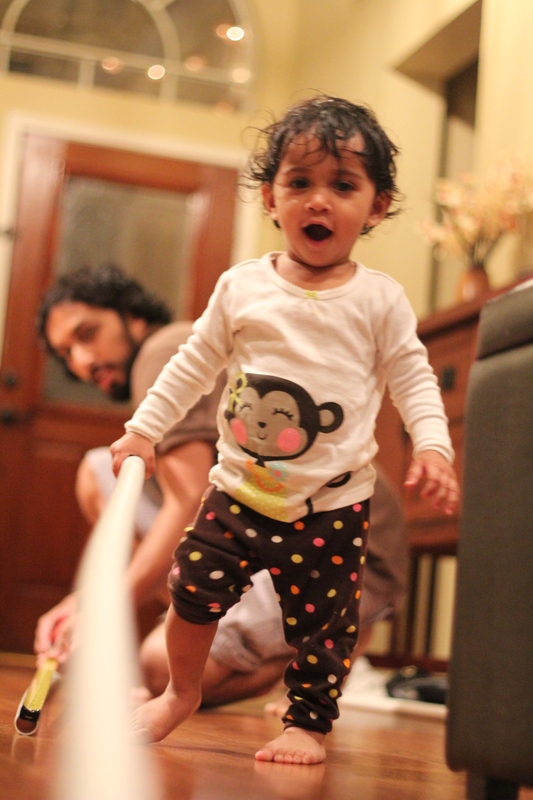 She dragged and spun the pipes, snapped the measuring tape and made Sajan’s project into an obstacle course. At the height of her shenanigans, she instituted a mandatory hug break. 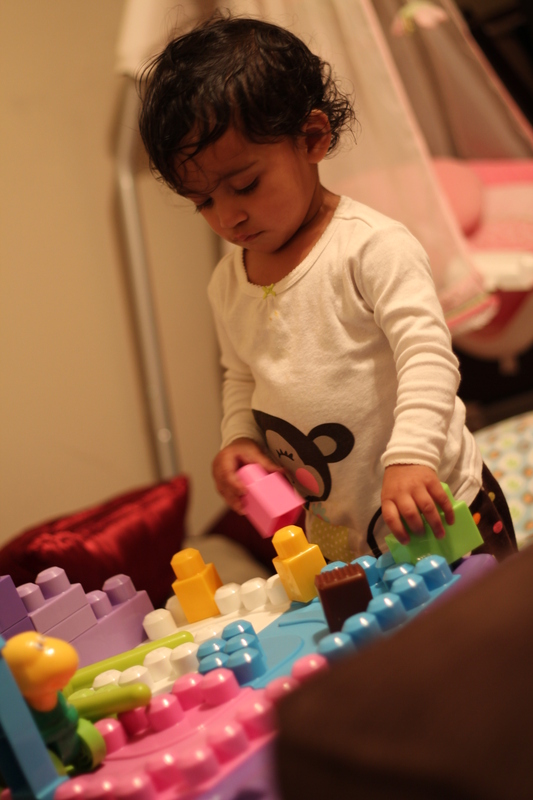 She tugged and tested Sajan’s creation for quality control. Then she rewarded herself with some Lego time. 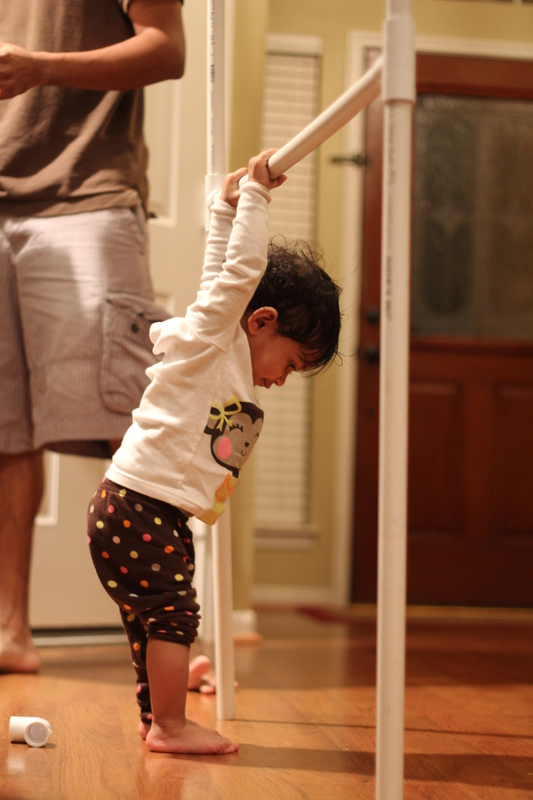 This entry was posted in Brilliant Ideas and tagged baby, DIY, pvc pipes. Bookmark the permalink.